Migraines are chronic headaches that can lead to excruciating pain that lasts for hours or even days. Sometimes the sufferer can’t tolerate light or sound, deals with nausea and vomiting, feels weak all over and can’t do anything. Doctors aren’t entirely sure what causes migraines. Simple remedies may help relieve such headache, but it is also necessary to seek medical help if nothing gets better. Over-the-counter medications and prescriptions are often used to treat migraines. However, it is always best to try natural remedies first. These home remedies for migraines might be able to help you take your life back from the pain. When a migraine does hit, you might quickly become unable to tolerate light and sound. If you can catch a migraine early with proper rest, you might be able to nip it in the bud. Lie down in a quiet room, meditate, take a nap if possible – just make sure that your body is at rest. When a migraine hits, the soothing sounds and feeling of a warm shower can help reduce the pain. Hot showers can relieve tension and make your body looser, open up your sinuses and ease the pain in your head. Some people find that a cold ice pack against the head or neck can help reduce the pain; others prefer a hot water bottle or heating pad to make them feel better. Still others find that alternative therapies every fifteen minutes help ease the pain. One of the effective home remedies for migraines is massage. If your muscles are tense, it’s entirely possible your migraine is coming from the physical stress. 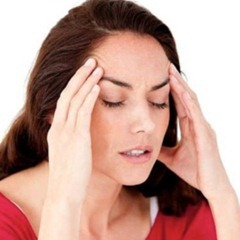 Massage can make those muscles relax, and that in turn can help relieve the throbbing pain of a migraine. An excellent way to get in touch with your body, yoga can help you feel calmer, more relaxed and centered. The gentle stretching of yoga can also help reduce tight muscles in the body. All of these can make migraines less likely. Here is a video of hand mudra for migraine. These techniques have been proven to help with all kinds of pain, including migraines. Sometimes simple pressure around the head works, so try a tight headband or other ways to put pressure on your head.You can also learn how to do this from a trained practitioner. Home remedies for migraines with some foods and drinks can help make the pain easier to handle. Caffeine opens up the blood vessels and can help the pain go away. Drinking plenty of water can help too. Other food options include supplements of fish oil, magnesium, ginger, butterbur and more. While home remedies for migraines can be effective in managing the pain, it is the best if you can prevent it from happening in the first place, or at least from reoccurring. Keeping a log of what you eat and when you have migraines can help you pinpoint which foods can trigger the pain. By keeping this log, you can then easily spot foods to avoid. For instance, if you have a migraine every time you eat chocolate, then you know the culprit and you can try to avoid it. Muscle tension can result from slouching, so it is very important to keep correct posture. This is especially true for anyone who works with computers or is otherwise in a chair all day. Make a point of keeping your shoulders back, your neck straight and your eyes in-line with your shoulders. This might feel strange at first, especially if you are accustomed to slouching, but it can reduce migraines. Vigorous exercise can make a migraine worse, but gentle exercise might make it much better or eliminate them altogether. Get into a regular routine of walking, stretching and performing other simple exercises that make you feel good but don’t stress your body. Stress can be a serious migraine trigger for some people. You can avoid this by doing all you can to distress the body, both before and during a migraine. Try something that soothes you, like soft music, gardening, a leisurely bike ride or sewing. Try to find stress relief that makes the migraine pain ease. Those who aren’t on a regular sleeping schedule might find that the lack of sleep or too much sleep can lead to migraines. A regular schedule of going to bed at the same time each night and getting up at the same time each morning can make the difference between days full of pain and days that are pain-free.